I painted this Autumn Still Life about 7 years ago. 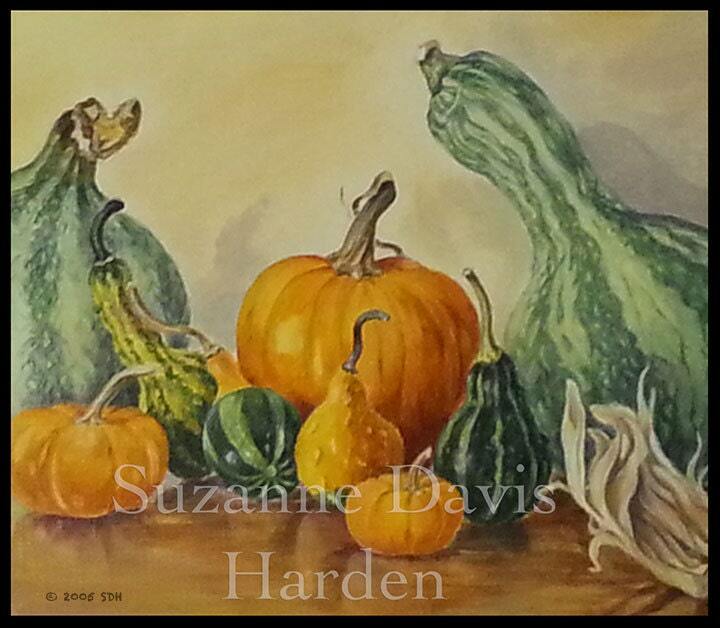 Every fall as soon as the pumpkins and gourds would appear at the farmer’s market or in the grocery stores I would love to go and buy as many as I could just so I could make paintings and sketches of them! 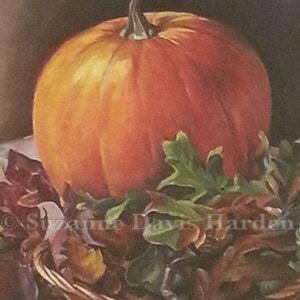 The original painting for this still life was painted in acrylics on canvas paper. I would listen to worship music as I painted. 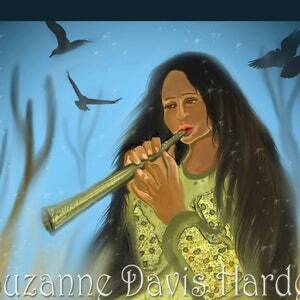 Everything in my studio was filled with the presence and peace of the Lord. When creating a still life, an artist must be patient, composed and steady while she tries to recreate a moment in time with her paintbrush. 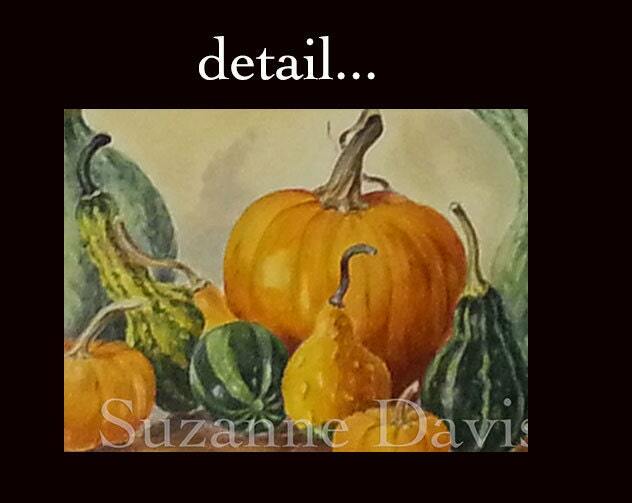 There is a beautiful peace in the process of painting, especially in creating a still life. It forces you to slow down, to stop, to examine, to look, to see. This is the opposite of the hectic, busy, non-stop work-all-the-time pace of our society. Such a fast pace induces stress, worry, and anxiety. But there is peace in being still. That is God’s message in Psalm 46:10 and that is the message of the artist’s Still Life. 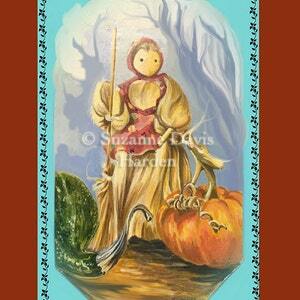 I print the Autumn Still Life on 8 ½ “x 11” inch premium glossy photo paper and package it in a protective plastic sleeve. I ship it in a sturdy photo mailer via USPS Priority Mail. 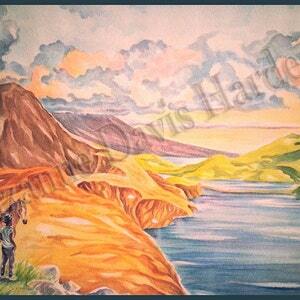 The image is watermarked on my website but your purchase will not be watermarked.